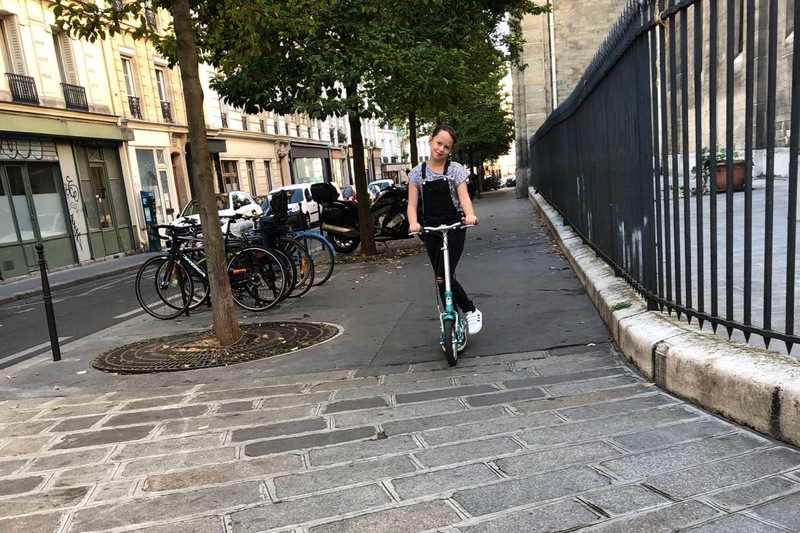 In my ever continuing search to find the ideal transport to cross Paris easily and quickly — I have come to the conclusion that travelling independently, i.e. with wheels or by foot, is the best way to get from A to B. First and foremost it lets us enjoy the beautiful city we live in. It also gives us a bit of exercise, and it means we are not reliant on public transport. As I mentioned a few weeks ago, I am very attached to my trusty bicycle, but the kids are getting bigger and are outgrowing the bike very fast. Unfortunately children cycling on their own is still a rare thing over here and is stress inducing to say the least. So scooters it is and the Swifty scooters we have just received are the best we have ever tried. Interestingly enough the Swifty Scooters were designed for exactly our needs, to get around cities easily and safely. They started off as adult scooters but since then have expanded to include a children’s range as well. 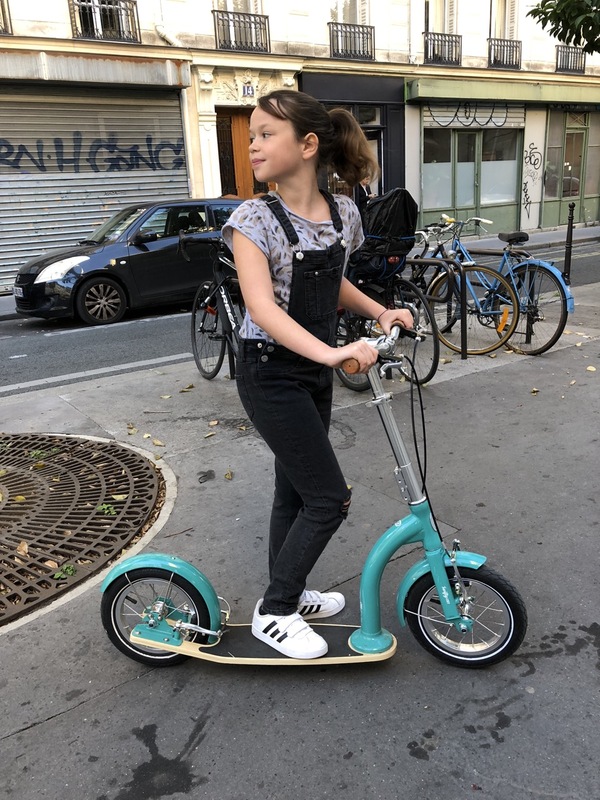 The big plus are the big pneumatic wheel that make scooting a lot more pleasant, especially in Paris as cobblestoned streets and cracks in the pavement are difficult to avoid. They are the brainchild of designers Camilla and Jason, who realized that cycling can be restrictive in busy cities and roads and that scooters could be a viable alternative to bikes. They are so very right — it is a great alternative for kids around the critical age of 10-12 who are good at biking, but are possibly not ready yet to negotiate big roads with vans and buses on inner city streets. 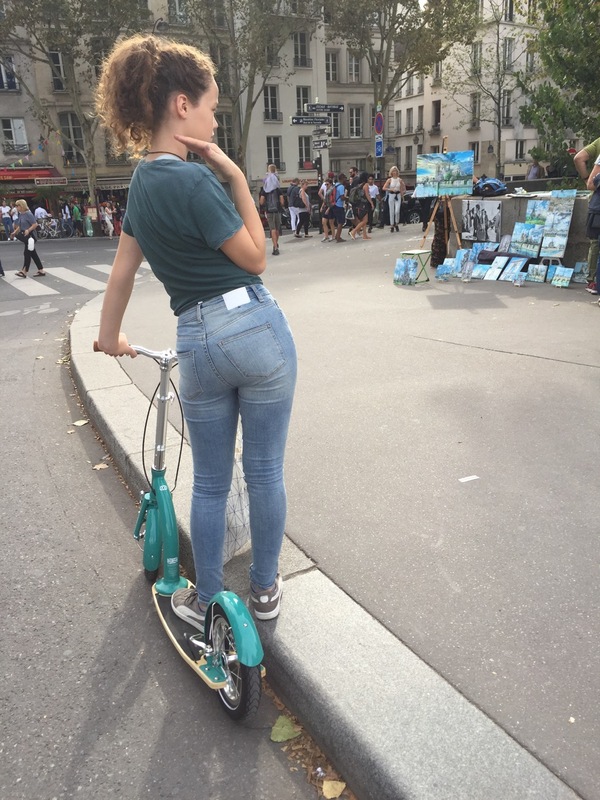 We have been scooting all over Paris, from the Latin Quarter up to Montmartre. It is actually fun to see that our city is indeed not that big and can be explored! These scooters are simply cool and fun to be on. So cool in fact that we are stopped all the time on the street by people asking us where they are from. And that is a mean feat in a city not known for its chatty inhabitants! I so love these postings for bigger girls. My children have grown up with Babycino and it is great to know that you can help us navigate these tween years too. Thank you! That is so nice to hear! The kids are growing up so fast!